Paul delivered a torso to Gloucestershire recently in advance of the ‘Out of Nature’ Sculpture Exhibition which celebrates our link with nature in a visual way. 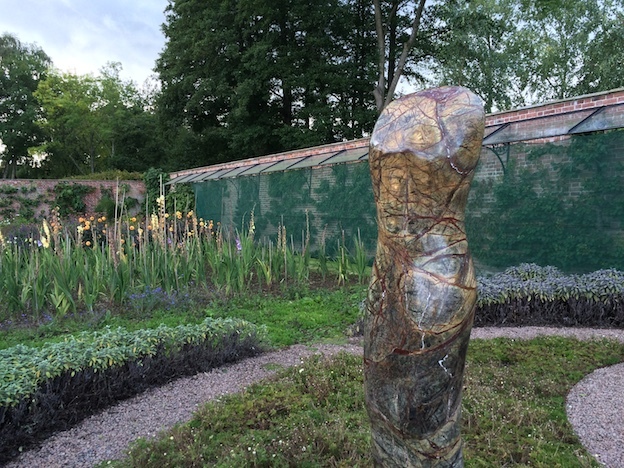 Around 200 pieces of outdoor sculpture are sited in the formal gardens, around the lake and in the walled garden, as well as some indoor pieces in “the pub” and the green houses. It shows the work of nearly 40 different artists from all over the UK as well as Germany and France. ‘Out of Nature’ was also created to raise awareness about the Cartshed and its work in the woods: created in 2011, it is a social venture which teaches coppicing and green wood craft as a skill but also as therapy. Once again Paul’s work has found it’s way to a really beautiful place, so make sure you try and get to Gloucestershire between October 4th and 25th to have a look. This entry was posted in news on September 28, 2015 by Paul Vanstone.